What's considered a normal temperature varies from one adult to the next. In general, though, 98.6 degrees Fahrenheit is the standard "normal" temperature, and anything higher than 100 degrees F is considered elevated -- a fever. 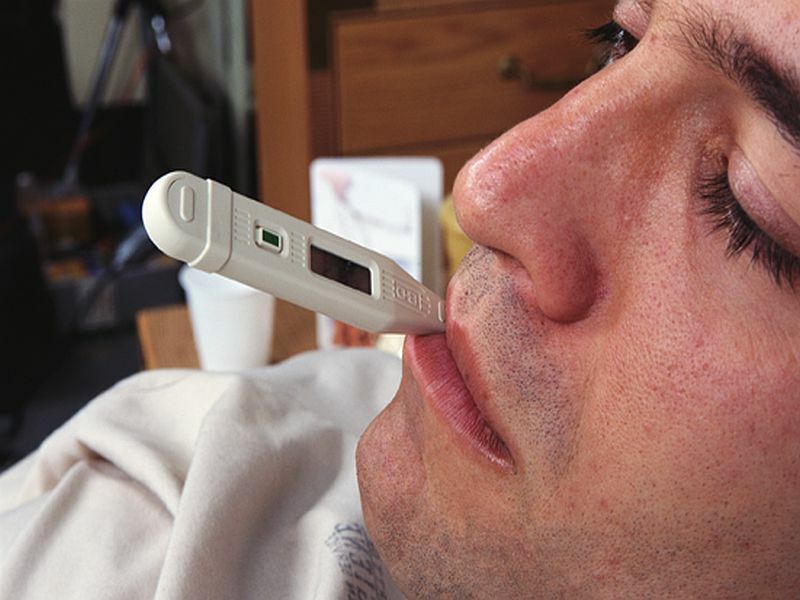 For most adults, a moderate fever is a warning sign of illness or infection. The fever itself isn't the disease. Rather, it actually helps your body fight off the infection. But, if your fever lingers more than a few days -- or gets higher -- call your doctor. Higher fevers -- more than 105.8 degrees F -- could damage various organs in your body. A fever that high could be the result of severe infection, heat stroke or use of certain drugs. Those drugs include cocaine, amphetamines, anesthetics and antipsychotics. And, a fever that develops soon after you've had surgery, started a new medication or traveled internationally also warrants a call to your doctor.